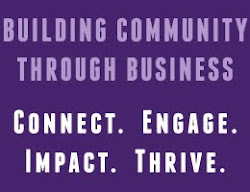 WCU is exciting to be offering several digital marketing workshops coming up this June at our Biltmore Park instructional site to help small and mid-sized non-profit and for profit organizations develop their on-line marketing strategies. All of the workshops links listed below include videos from the instructors who highlight what will be covered in each workshop and the benefits of attending. WCU is also offering Society of Human Resources Recertification (SHRM) Credits for the first two workshops in June. Meet the instructors and check out the early-bird registration rates by clicking on the workshop links below.